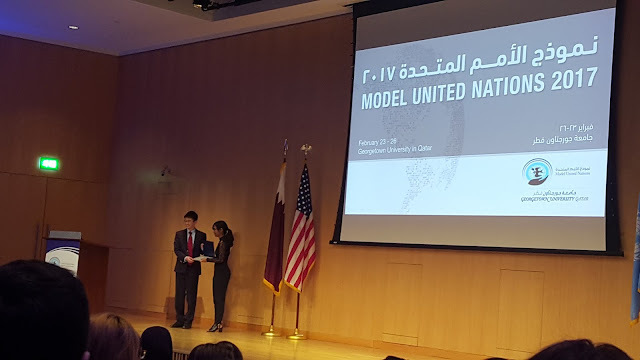 MUN Qatar 2017: That's a wrap! The Model UN team just wrapped up their conference hosted by Georgetown University! After long hours of prep and debate, the group spent their last few hours enjoying their time in Doha, with a visit to the Museum of Islamic Art. All of our delegates represented their positions admirably. Gordon Ho '17 brings home a best delegate award for his role as advocate for Pakistan in the International Court of Justice. Congrats, Gordon! 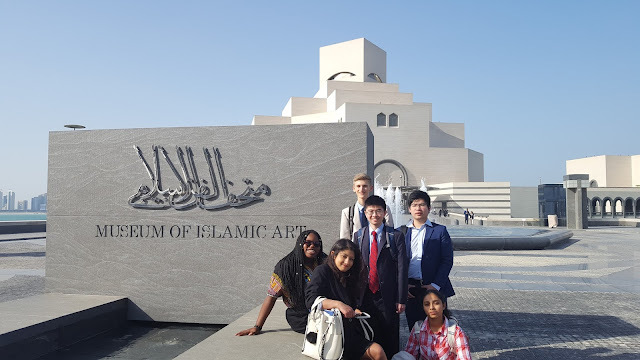 Model UN group in front of the Museum of Islamic Art! Gordon Ho '17 receives the award for best delegate!